Bhamo is a busy village at the northern end of the Irrawaddy River in Myanmar (Burma) that serves as an embarkation/debarkation port because of its proximity to a tiny airport. A visit here will include time at the market, the hub of the village. You might make a stop at Shwe Kyi Na pagoda or a historic Catholic church. Locals drive scooters and tuk-tuks, often packed with people. The currency in Bhamo is the kyat. 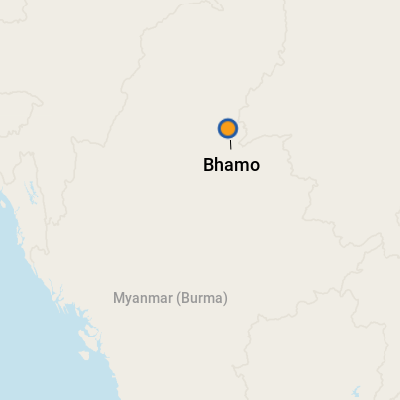 Burmese is spoken in Bhamo.